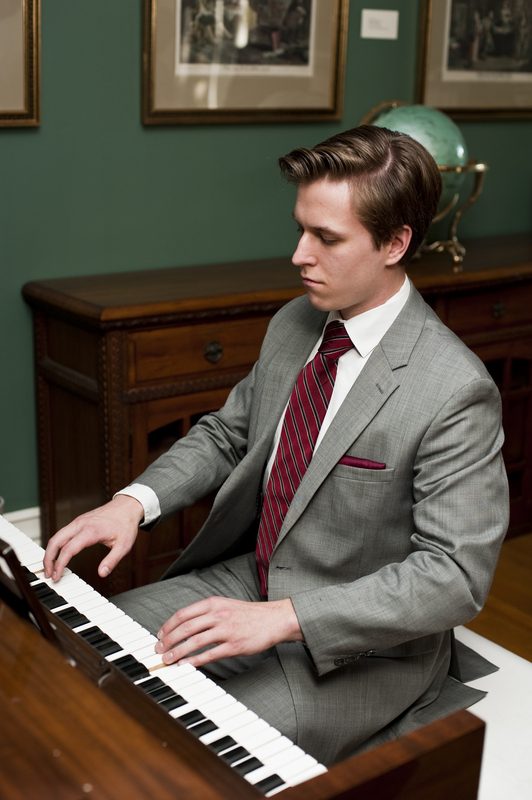 Ashland, Ore. – The Music program of the Department of Performing Arts at Southern Oregon University presents pianist Nic Temple performing his Honor Student Recital concert on Saturday, April 26 at 7:30 p.m. in the SOU Music Recital Hall. Admission is free. Temple is the recipient of the Evans Family Music Scholarship and E.E. Mulling Scholarship. He is a junior at SOU, where he studies with Dr. Alexander Tutunov. He began studying piano at the age of 10, although at that point he had already played classical guitar for two years. Between the ages of 14 and 17, he placed as first alternate in the Southern Oregon Bach Festival and State Solo and Ensemble Competition, and won first prize in both the Rogue Valley Sonatina Competition and NACUSAsor Composition Competition. He has studied with Dirk Mommertz of the Faure Quartet, Dr. Nelita True of Eastman Conservatory, Dr. Julian Martin of Juilliard School of Music, Dr. Robert Roux of Rice University and Dr. ChengGang Yang of Sichuan Conservatory. The Performing Arts Box Office is located in the Theatre Arts Building lobby. Box office hours are noon to 6 p.m. Monday through Friday and two hours prior to each performance. Tickets can be purchased with a credit card over the phone by calling 541-552-6348 or online at sou.edu/performingarts.